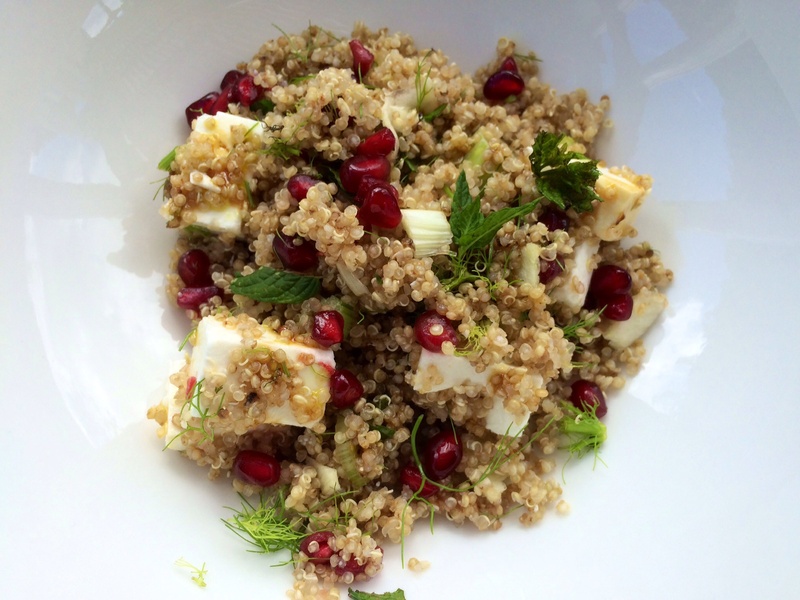 The pretty little jewel like seeds of pomegranate always cheer up a simple dish. Pomegranate molasses is now available in many shops and is thick and fragrant, a lovely tangy reduction of pomegranate juice, adding depth of flavour to many dishes. 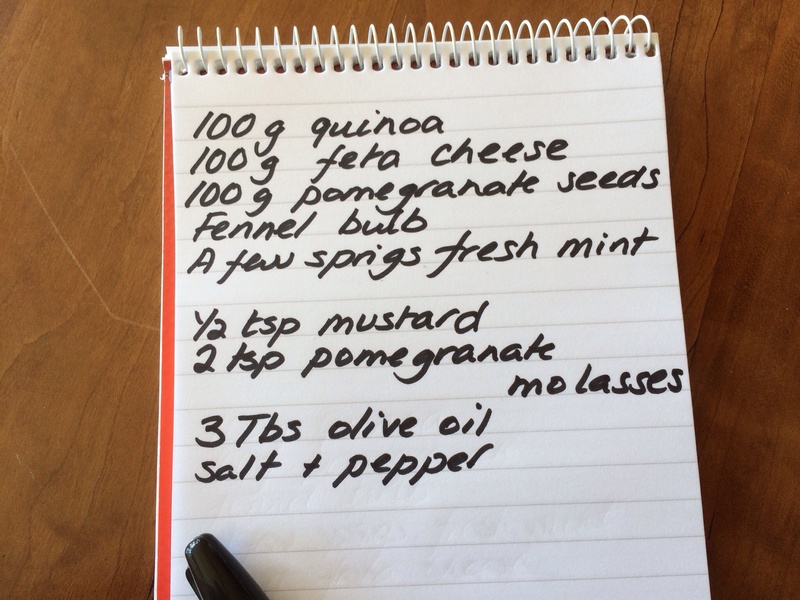 Quinoa is high in protein and this makes a nice satisfying lunchbox. Boil the kettle and place the quinoa in a saucepan, pour over plenty of boiling water and simmer for about 10 minutes. Keep an eye on it and test from time to time. You don’t want it to be soggy, so be careful not to overcook it. Drain and leave to dry. Make up the dressing, whisking the mustard, pomegranate molasses and olive oil together with some salt and pepper. Slice the fennel very finely, cut the wispy feathery ends into pieces. 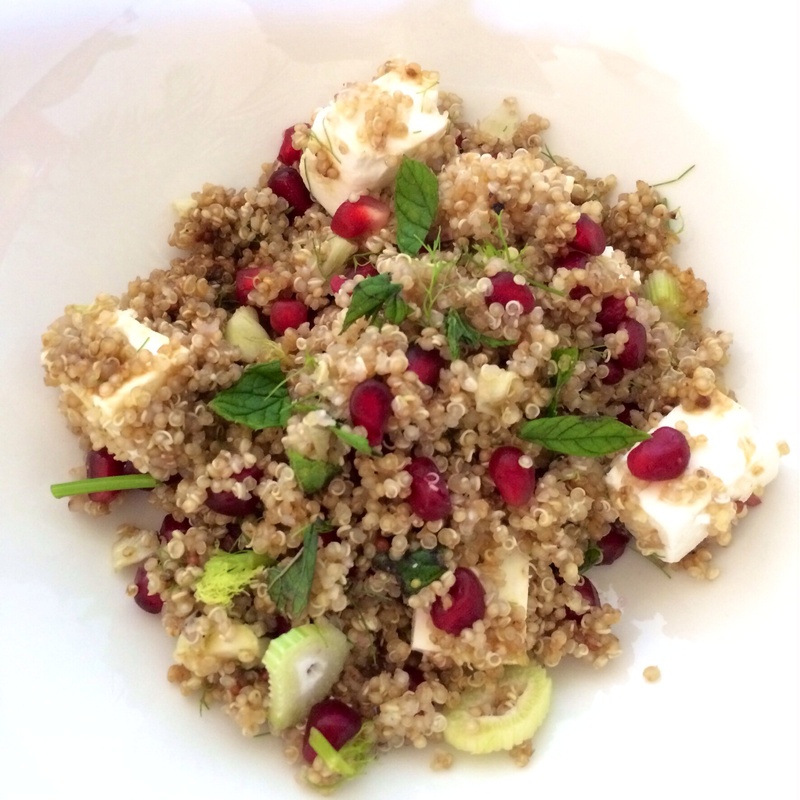 Add to the quinoa with the pomegranate seeds, chunks of feta and chopped mint. Pour over the dressing and add a little sea salt if you wish. Delicious!